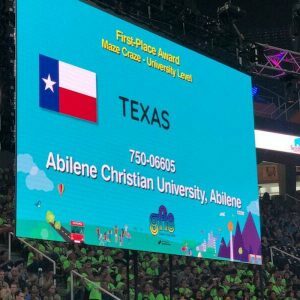 In May, ACU’s SITC had its first team compete at the Global Finals tournament of Destination Imagination in Knoxville, TN, winning first place in the Maze Craze category at the university level. 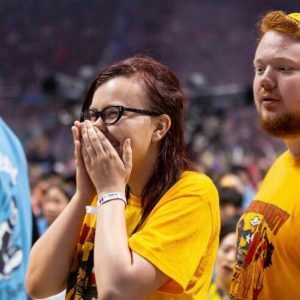 Destination Imagination, or DI as its most often referred to, is a gathering of over 8,000 elementary through university aged students from more than 15 countries around the world. Centered on creativity, the event allows student finalists the opportunity to display their inventive solutions in the areas of STEAM (science, technology, engineering, arts and mathematics), as well as service learning and improvisation. Collin Blanchard, one of the ACU team members who participated, talked to us about the experience. “DI is essentially, to my understanding, a place to participate in challenges of various types and to grow as a team. I had never heard of DI before, but Korbin Ancell had participated in it for something like 10 years. He told us about it and we decided we could do it at the university level.” Collin went on to explain how the challenge works. 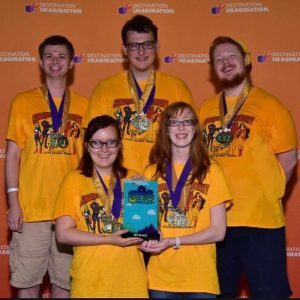 Learn more about Destination Imagination here.